The level of service WCFD 7 provides the community is dependent on three things; Personnel, Facilities and Apparatus/Safety Equipment. WCFD 7 maintains a 25-year apparatus plan on fire suppression equipment and a 10-year plan on emergency medical service vehicles. Apparatus is upgraded based on age, mileage, and National Fire Protection Agency (NFPA) standards and available funding. Firefighting equipment also needs to be upgraded on a regular basis for the safety of the personnel that use this critical equipment. WCFD 7’s fleet is aging with several apparatus now older than the industry standards. Costs are rising, and it is no longer sustainable to fund apparatus and safety equipment out of the District’s current operating budget. Safety equipment is also nearing, or is currently past its expiration date and must be replaced to keep firefighters safe while performing their job. Why a Capital Improvement Bond Issue? 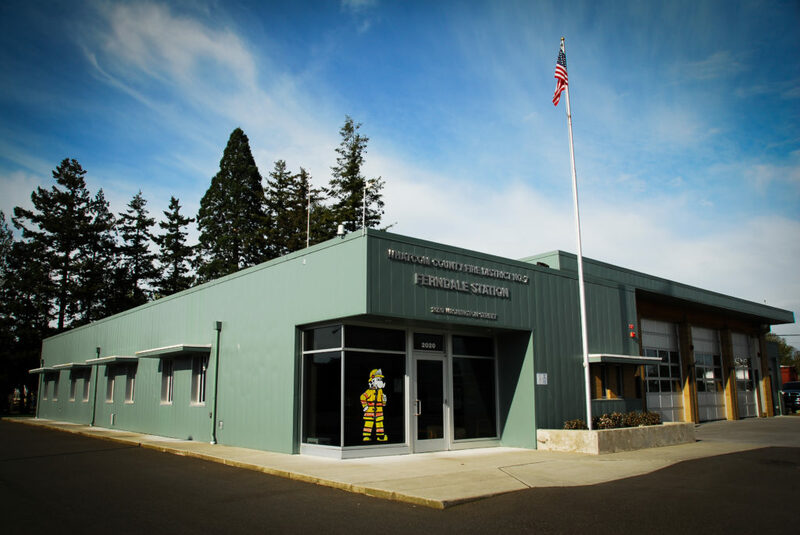 WCFD 7 initiated internal stakeholder meetings during May of 2018 to recommend potential solutions to future budgetary shortfalls. The committee included Fire Commissioners, management, staff, career, and volunteer firefighters. The meetings concluded the District’s economic outlook for the future does not sustain the ability to purchase these critical capital needs. The solution was to go to the voters and seek a capital improvement bond issue in 2019. The recommendation was to seek $3.5 million dollars over a 15-year bond life. If passed, the Capital Improvement Bond will authorize WCFD 7 to borrow $3,500,000 by issuing general obligation bonds. The bonds would be repaid out of annual tax levies over a 15-year period. The levy rate is currently estimated (based on current bond rates at an AA rating) to be seven cents ($0.07) per thousand dollars ($1,000) of assessed valuation. The cost for an average homeowner ($350,000.00) in WCFD 7 would be approximately $24.50 per year over the life of the bond. The standard 2019 tax assessment for a $350,000 home in WCFD 7 is costing $425.08. This $24.50 increase would make that assessment $449.58. The additional bond taxes won’t be collected until 2020. How will WCFD 7 spend this additional revenue? WCFD 7 will upgrade equipment to current industry standards and to extend the life of the vehicles. The district will upgrade one pumper (seen in the picture below) and extend the lives of 3 additional pumpers to extend their life another 15-20 years. SCBA (self-contained breathing apparatus) units that are past their life expectancy at the end of 2019 will be upgraded. Two aid units will be sent to be upgraded to extend their service lives. Portable radios that are 19 years old will be upgraded. All of these items not only will increase efficiency in response but will keep our firefighters operating safely for years to come. What if the Bond fails? Funding the apparatus/safety equipment out of very limited reserve funds, or using current operating budget monies. Closing stations that are in outlying areas thus increasing response times. Eliminating special operations such as Public Education, Fire Prevention and Community Outreach. Reduction in force through attrition to meet the capital needs of the District. How have other Fire Districts dealt with this challenge? Districts across the State of Washington have been anticipating this since the passage of I-747 in 2001. When the initiative passed limiting property taxes to a 1% increase annually, Districts knew they would be facing these challenges at some point in the future. We have managed to make it farther along than most, but the time is now. Other District’s within Whatcom County have current G.O. Bonds or excess levies in place to take care of these needs. The price of emergency equipment is skyrocketing. Annual estimates from suppliers indicate nearly a 6% annual increase in costs.